consumers. The start of local production signifies an important milestone for Infiniti to become a mainstream player in the Chinese premium automotive market. "Today we are here to witness Infiniti's big step forward in China. 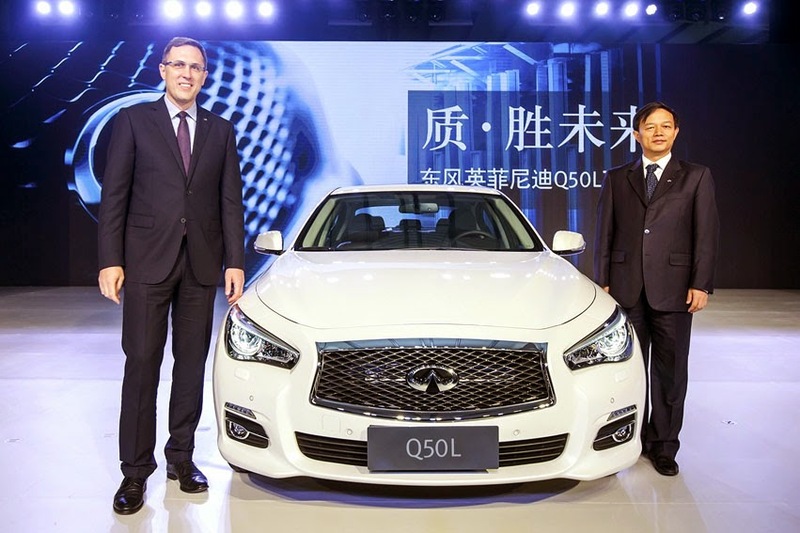 We continue to expand our business in China and develop Infiniti as a truly global premium brand," said Dr. Daniel Kirchert, President, Dongfeng Infiniti Motor Co., Ltd. and Managing Director of Infiniti China. "Local production demonstrates Infiniti's long-term commitment to the Chinese market. We will bring Infiniti's renowned global quality standards and its premium experience even closer to Chinese consumers." With commencement of Infiniti local production at the Xiangyang Plant, China has become the third country for Infiniti's global manufacturing footprint in addition to Japan and the US. It marks the next step in Infiniti's global growth plan to expand the brand's portfolio while establishing a broader global manufacturing footprint. It also underlines its determination to turn China into Infiniti's second volume hub globally. In addition to the Infiniti Q50L, Infiniti will also soon start producing the localized QX50 long wheelbase version at the Xiangyang Plant. Both vehicles are tailored for the Chinese market, expanding Infiniti's product portfolio for the Chinese consumers.